The pallet movable storage racks save a lots of space and help in storing more items. You can count on these racks by increasing the number of drawers as per need. 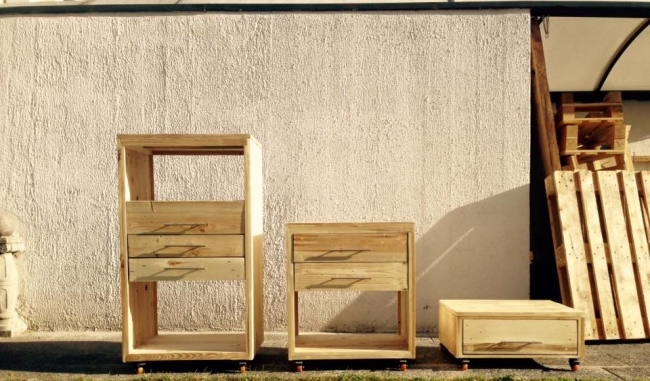 An amazing furniture piece indeed for your home for storing day to day things. Movable racking is very much in trend made from timber pallets. The pallet racks are given wheels for moving from one place to another easily. 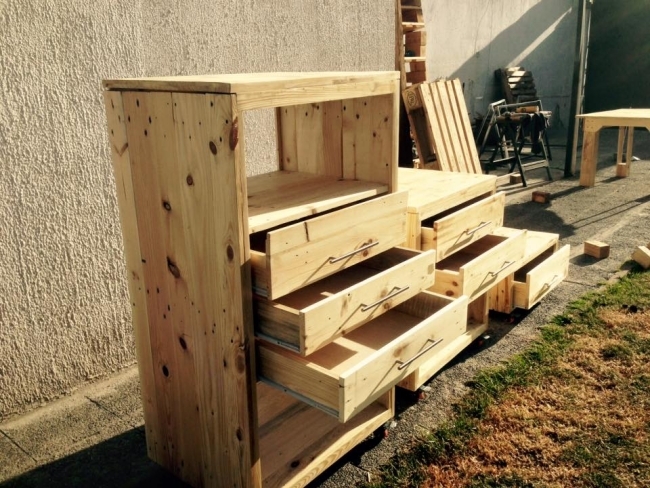 Carefully chosen pallets have been given this shape and design for keeping things organized. In addition to enhancing the storage space the pallet racks is very cost effective alternative to fancy cupboards and show cases. 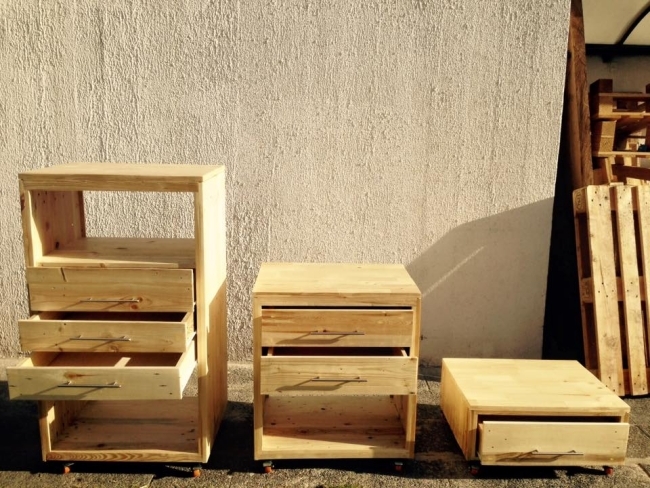 These pallet storage boxes have been built with skill and efficiency of use. They can be placed in various places in house and you can keep your necessities in organized way. When painted in various colors according to room theme these storage racks will add to the beauty of room. Now no worry for keeping your electronics here and there as you got perfect place on top of your pallet storage rack with drawers. This purpose is the best to use the wooden pallet planks for this vertical storage which will compliment the small space, Plus it does not require any major modifications to the original pallet size and shape. 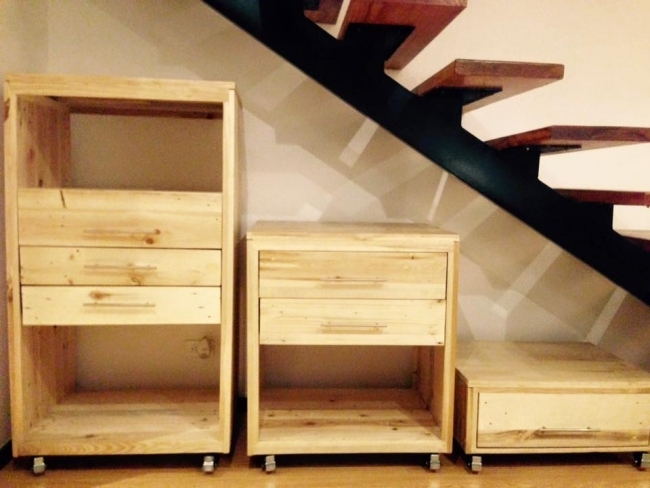 An ingenious project indeed of converting the wooden planks into such a useful cabinets which are movable as well. 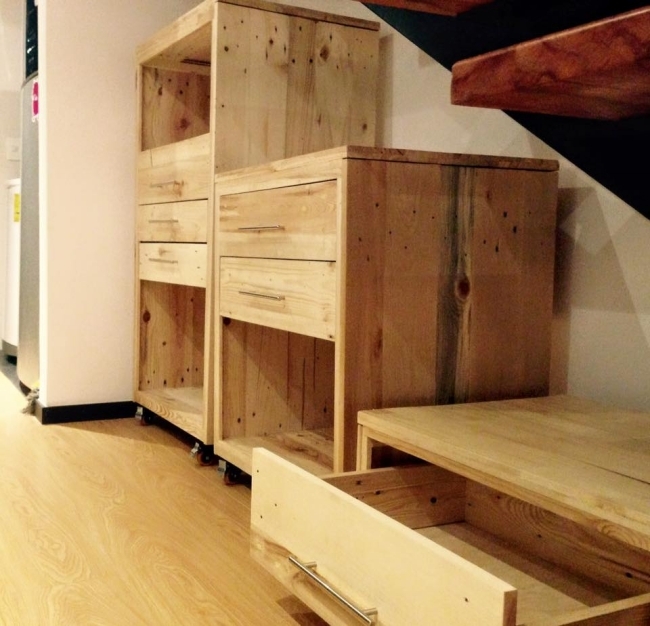 The reclaimed pallets are designed into functional racks with multiple drawers as per need. 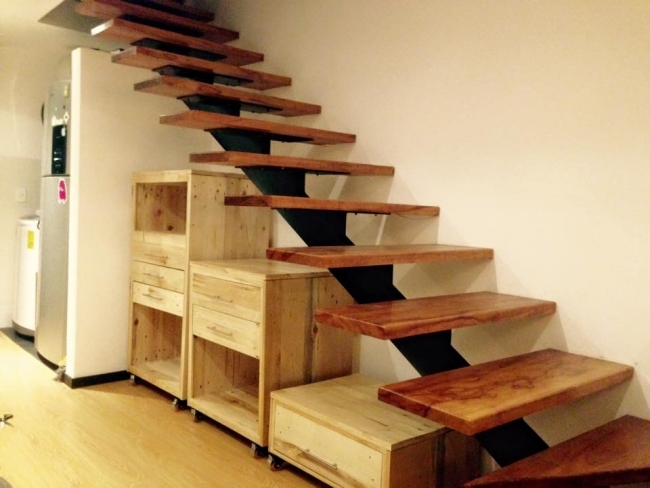 These pallet storage racks are amazing and you can make you downstairs place very useful by placing these there. These movable wooden cabinets not only offer storage purpose but can act as display shelves for keeping your decoration pieces on the top. 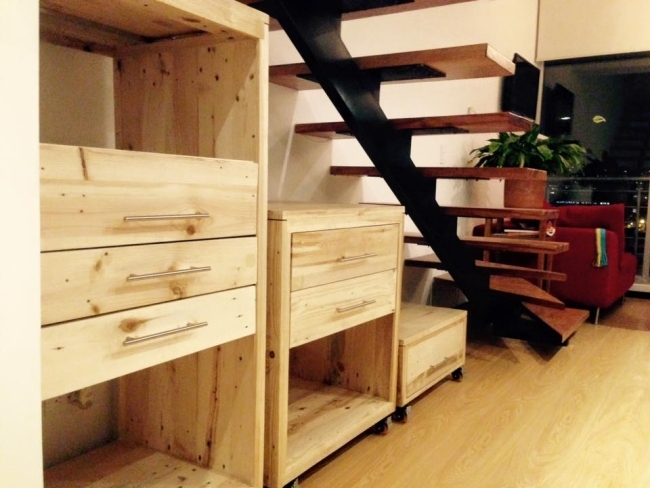 Having made out of reclaimed lumber these pallet movable storage racks are the furniture items depict strong creativity with minimal resources.